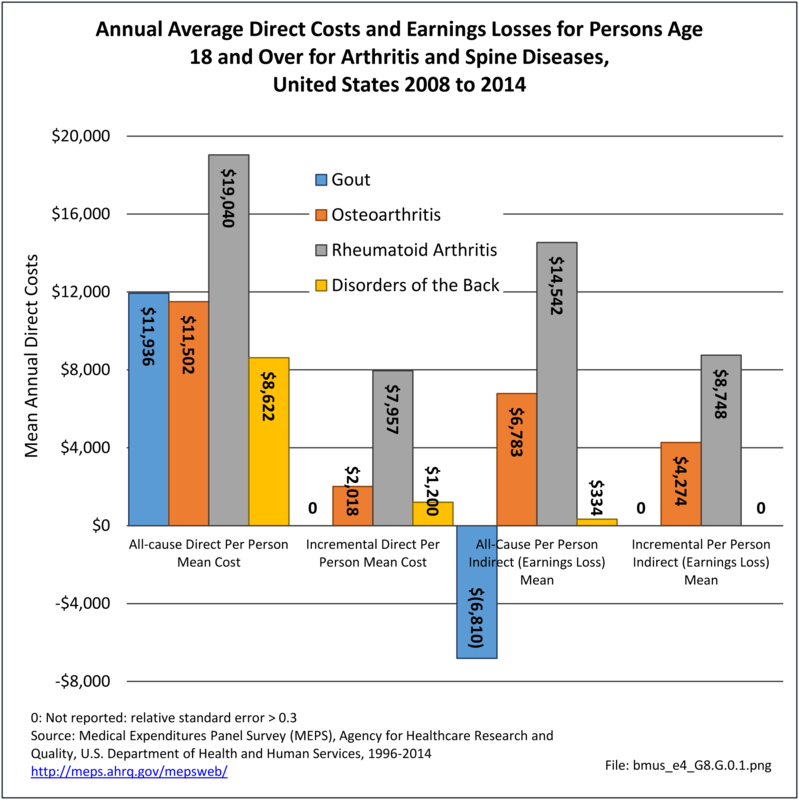 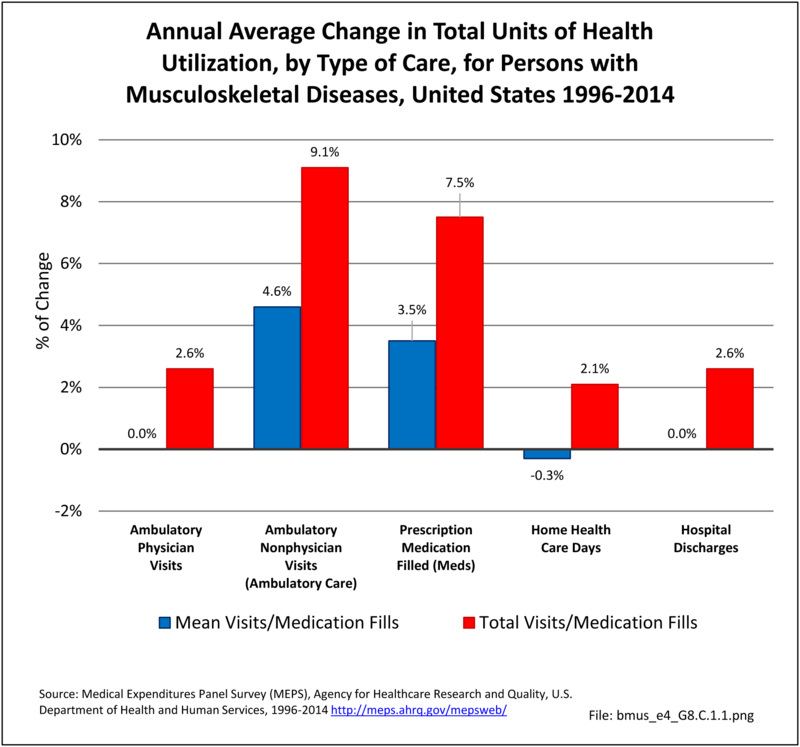 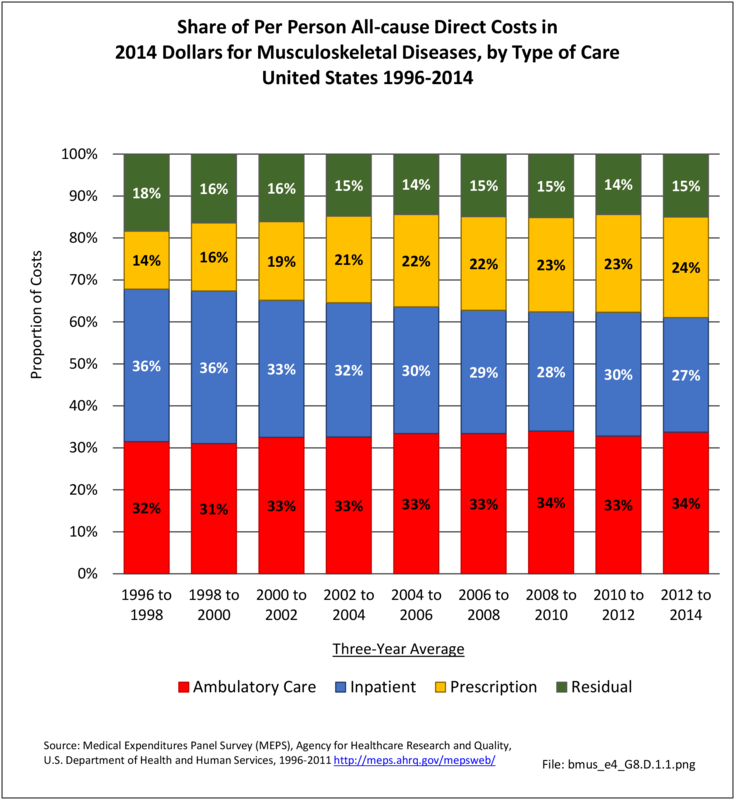 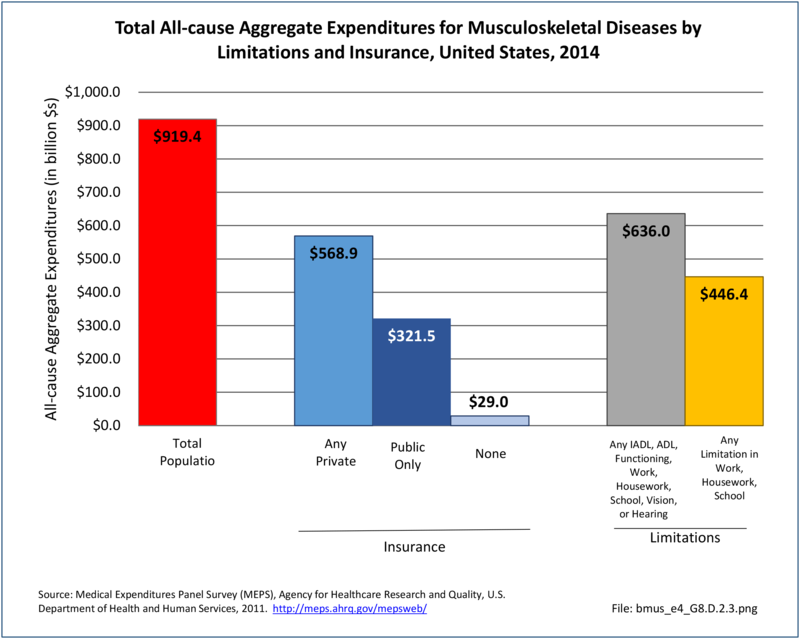 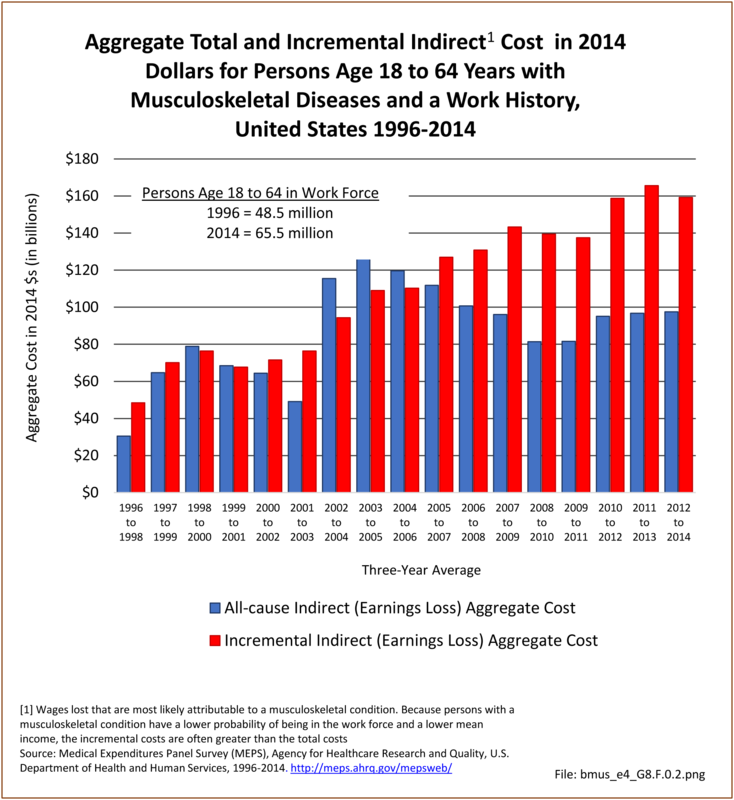 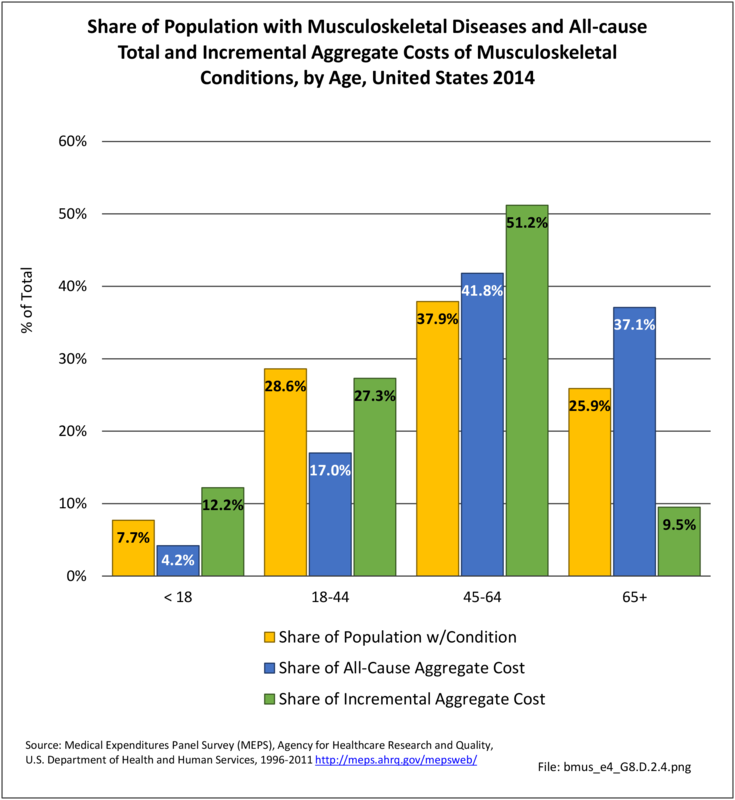 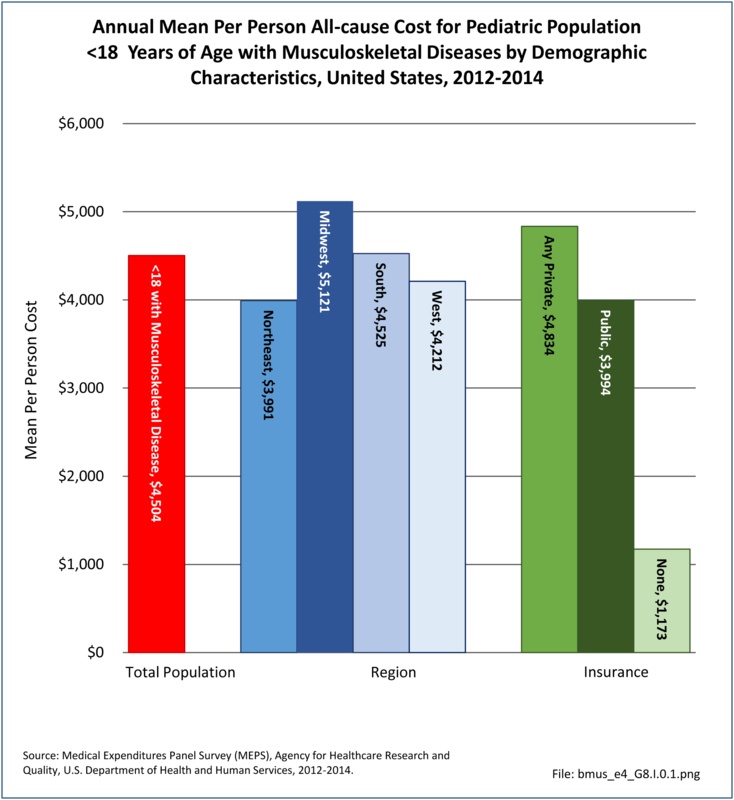 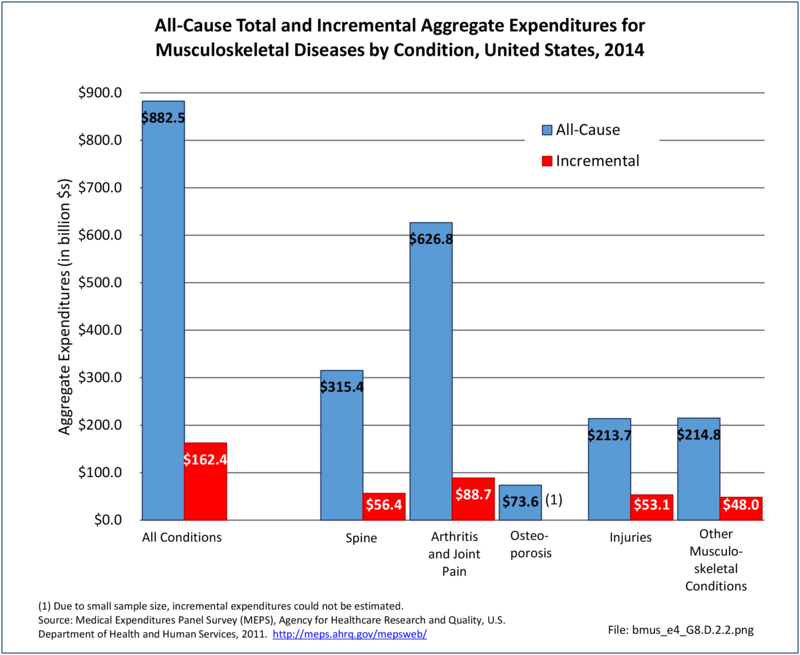 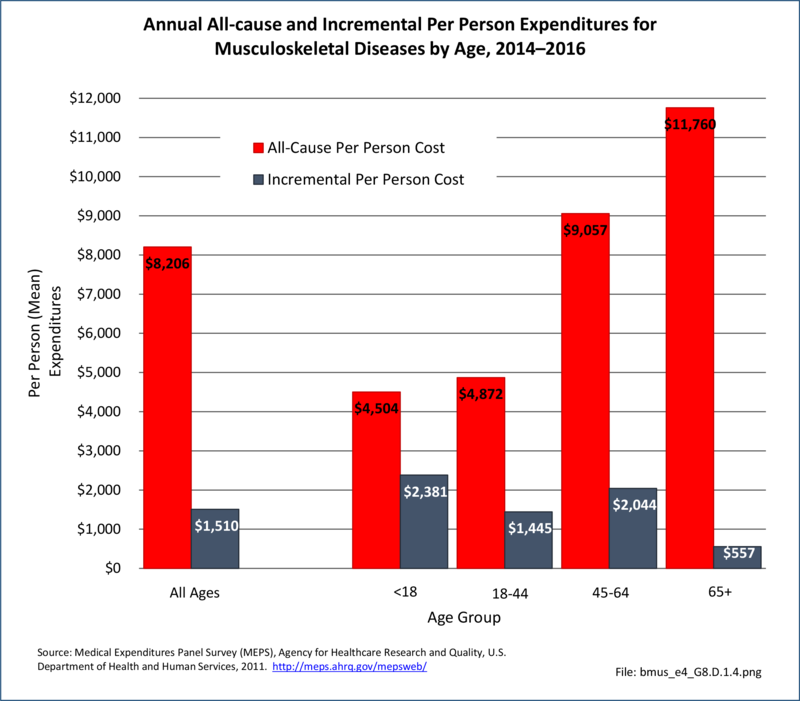 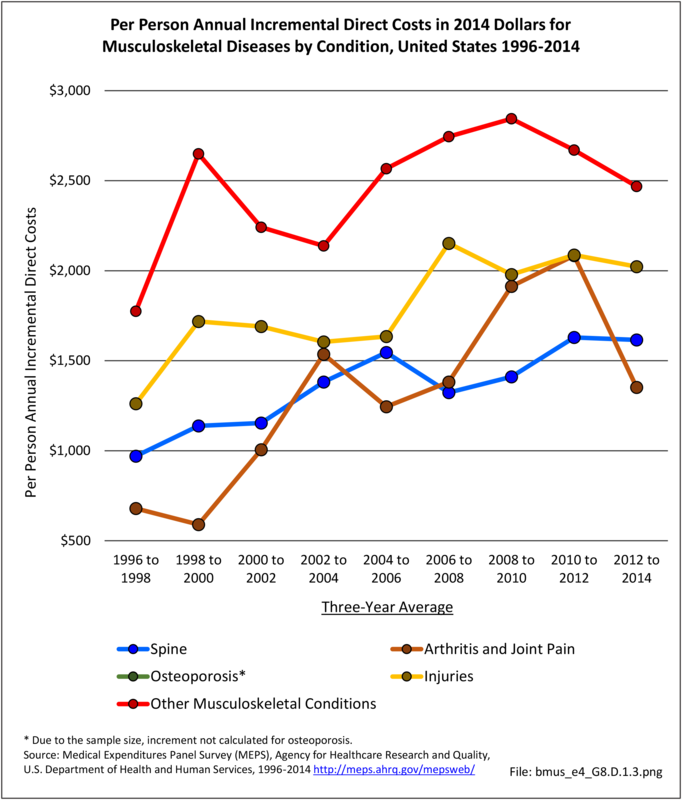 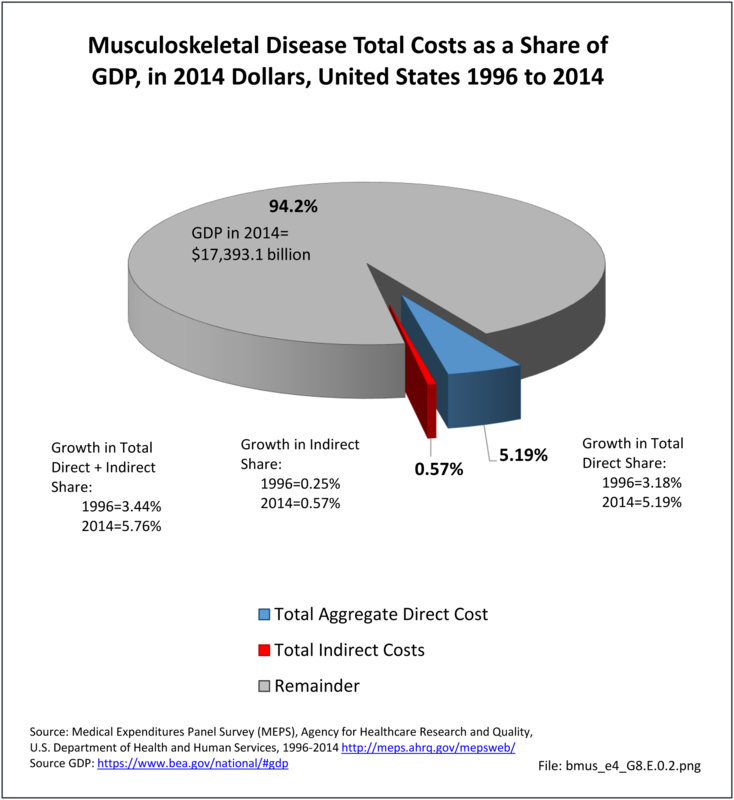 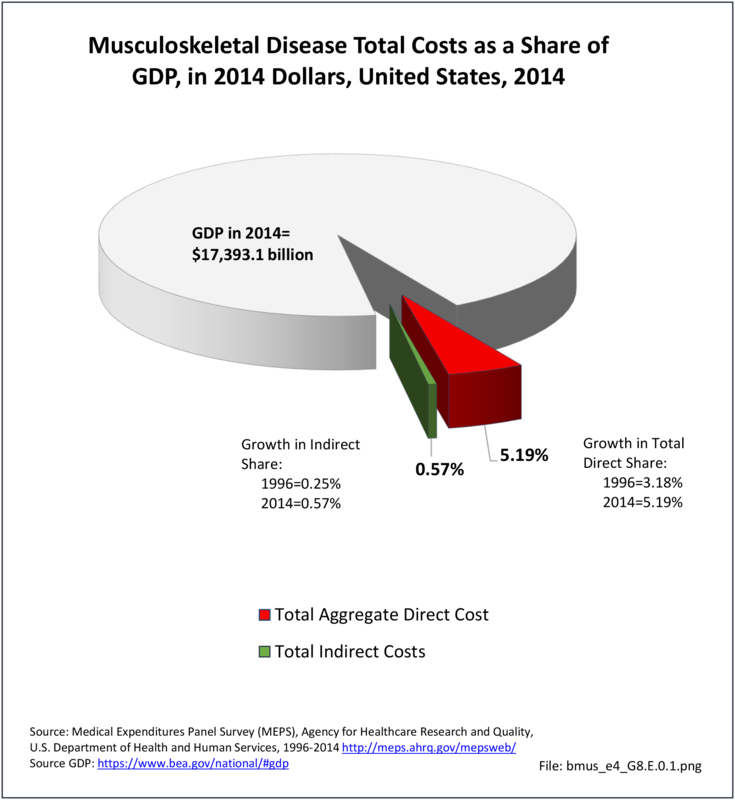 The following section looks at specific musculoskeletal disease conditions to provide broad estimates of costs associated with them. 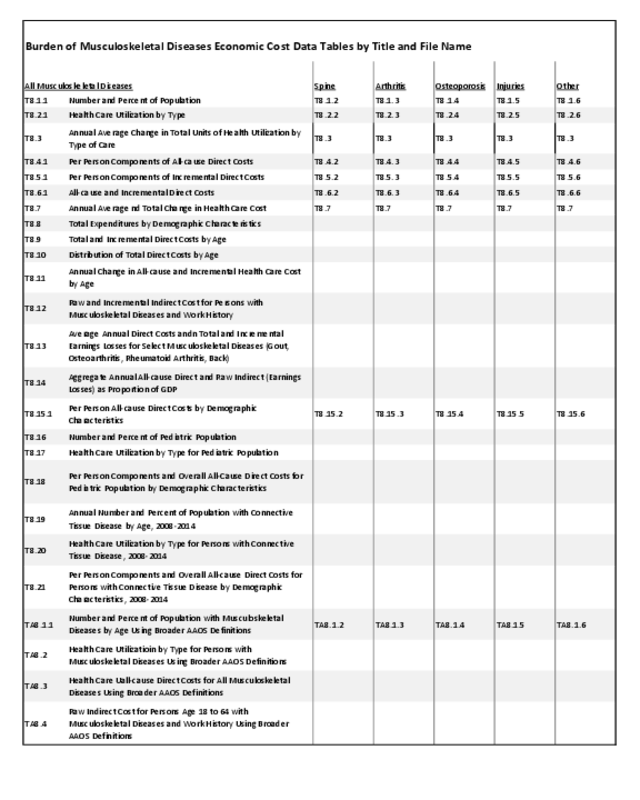 However, it should be noted that medical conditions in MEPS are self-reported, and may result in misreporting, and, thus, misrepresentation, of some conditions. 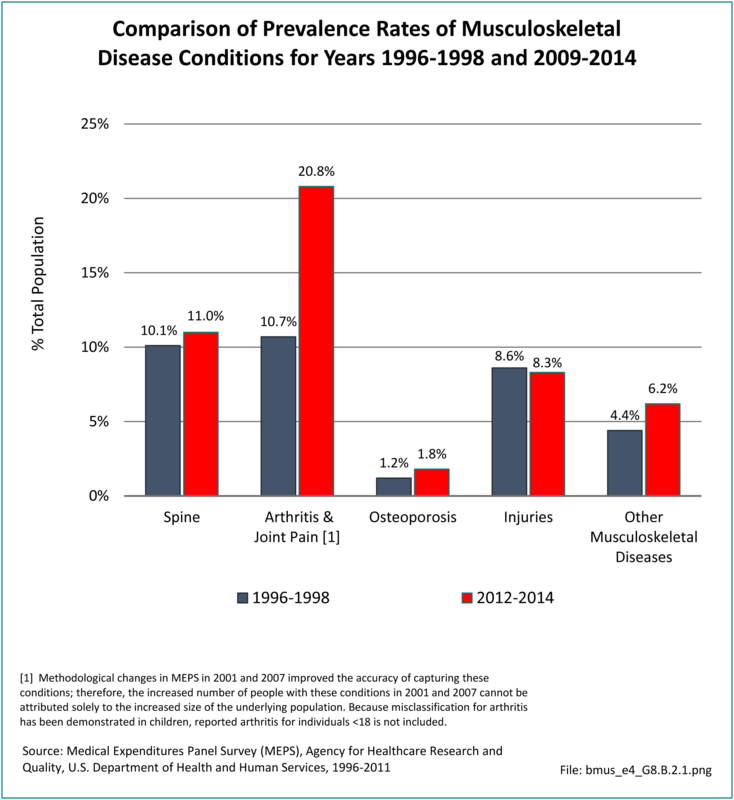 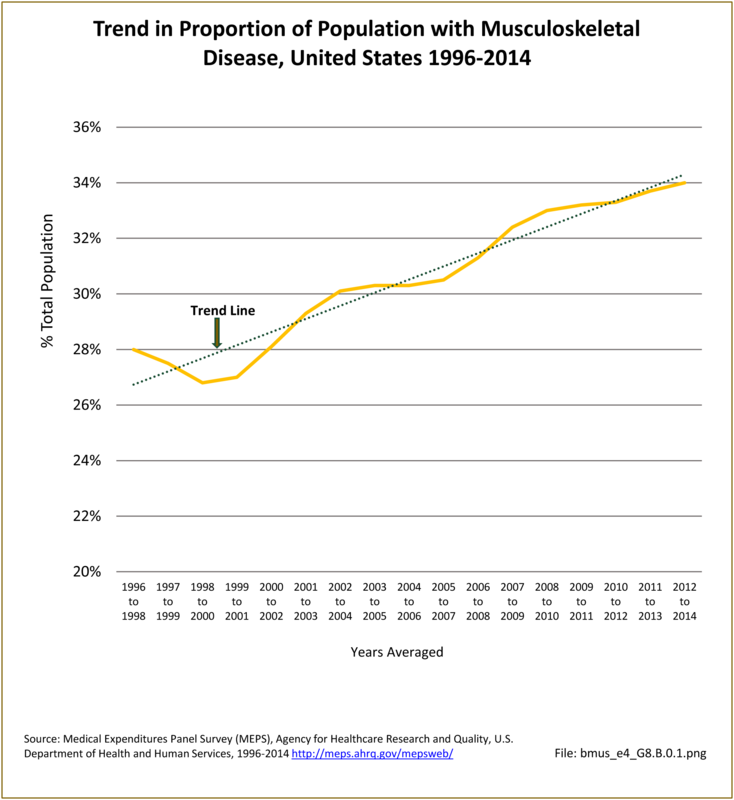 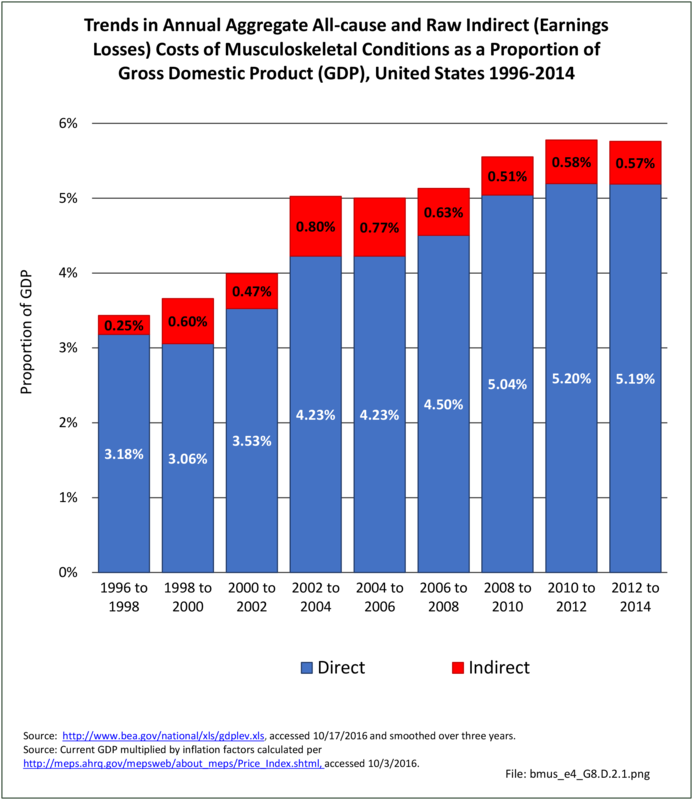 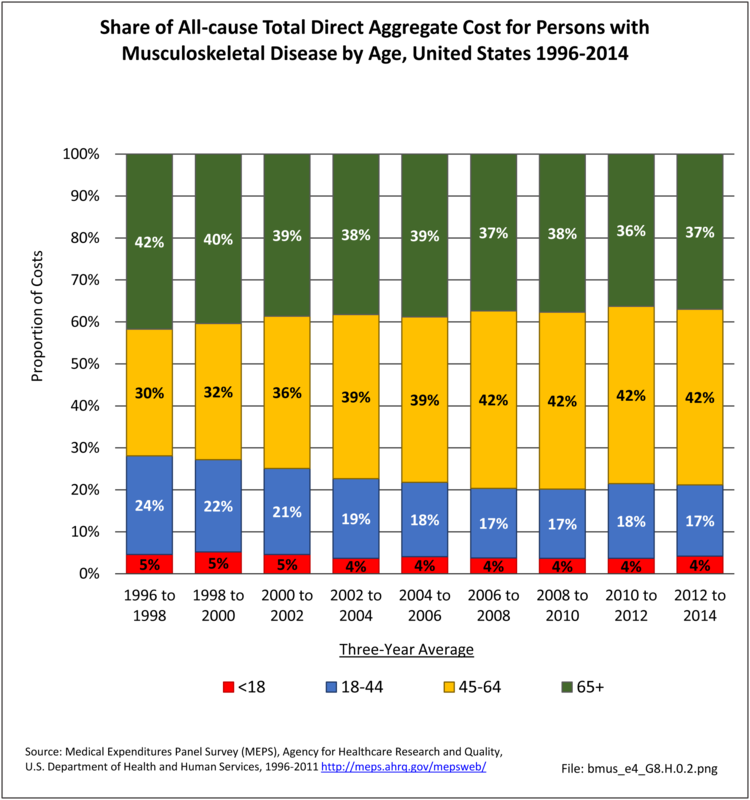 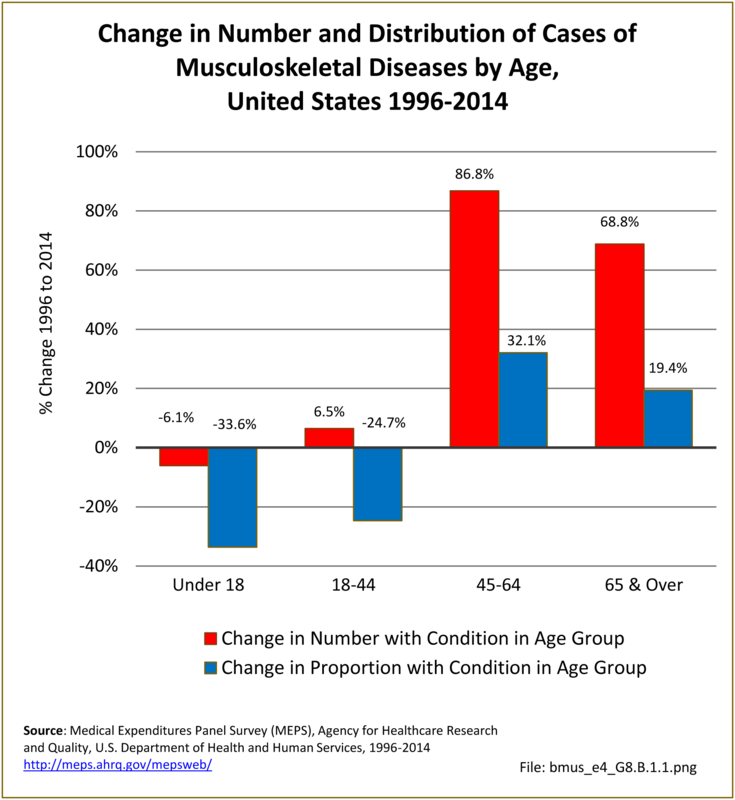 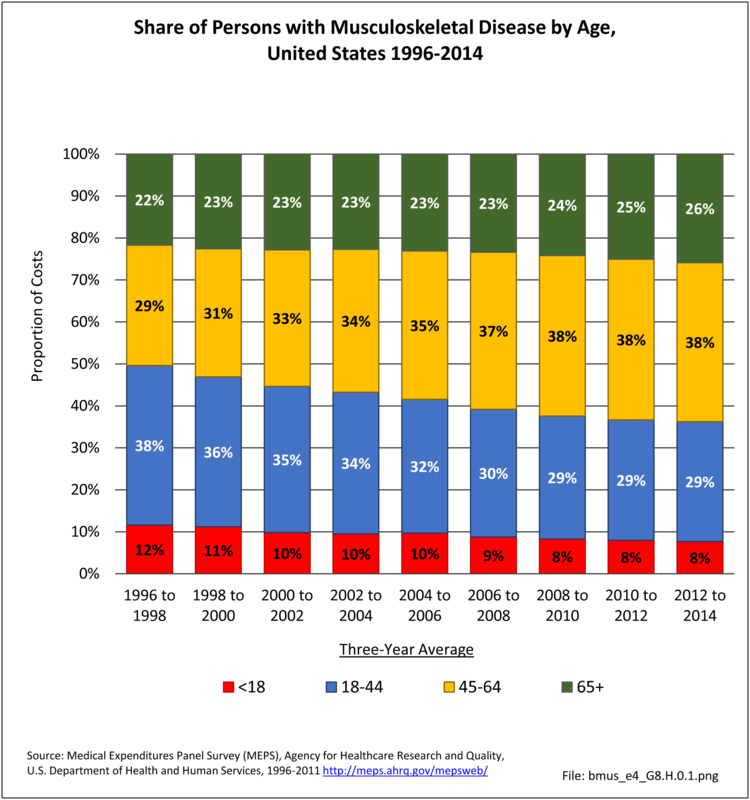 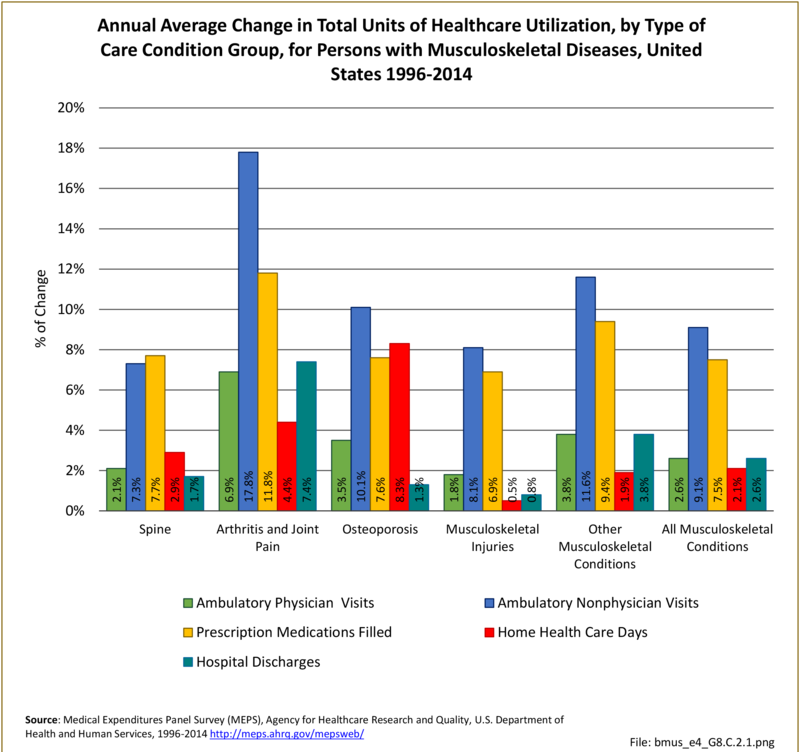 An additional issue is that estimates for the prevalence and impact of specific conditions may differ year to year due to small sample sizes and the inherent variability that results. 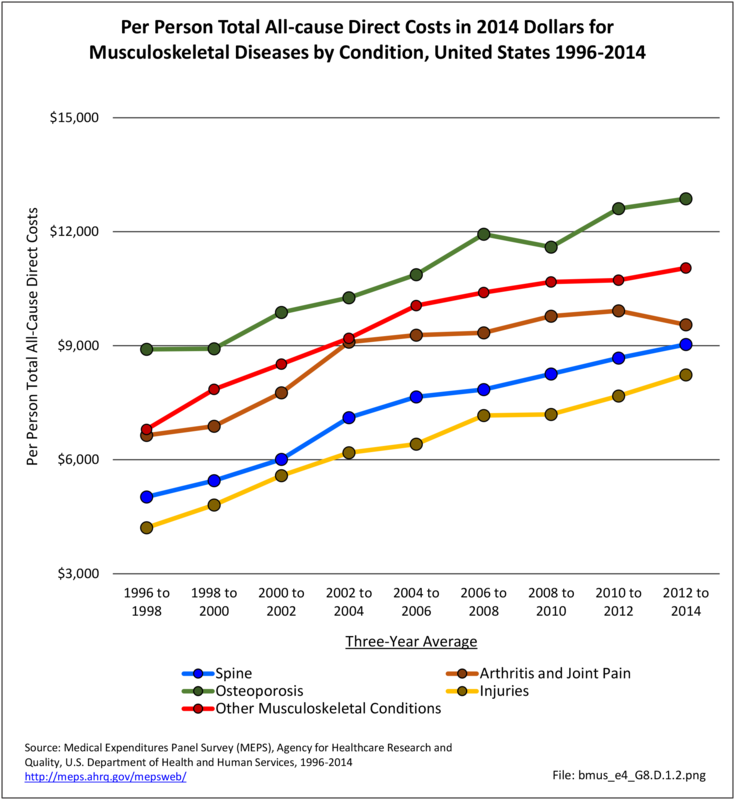 To improve the reliability for specific conditions, including gout, osteoarthritis and related disorders, rheumatoid arthritis, and other and unspecified disorders of the back, estimates are based on a merging of MEPS data from the most recent seven years, 2008-2014. 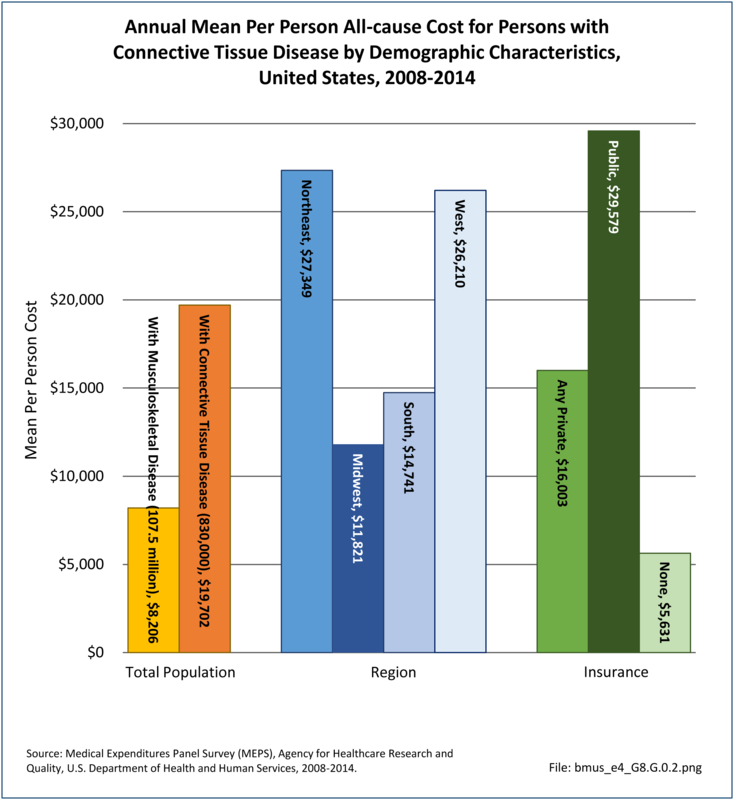 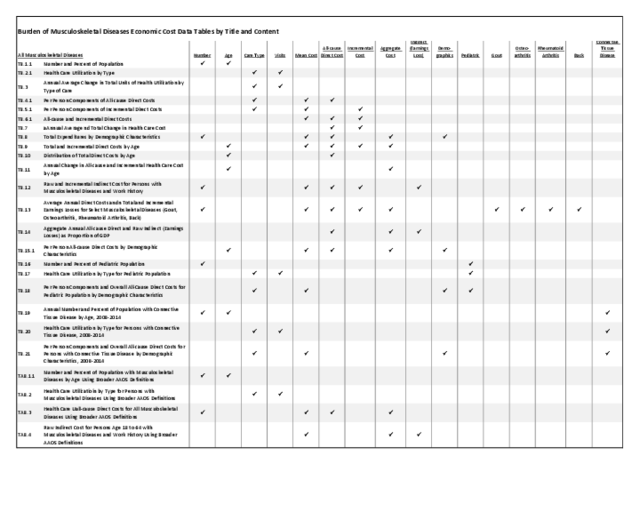 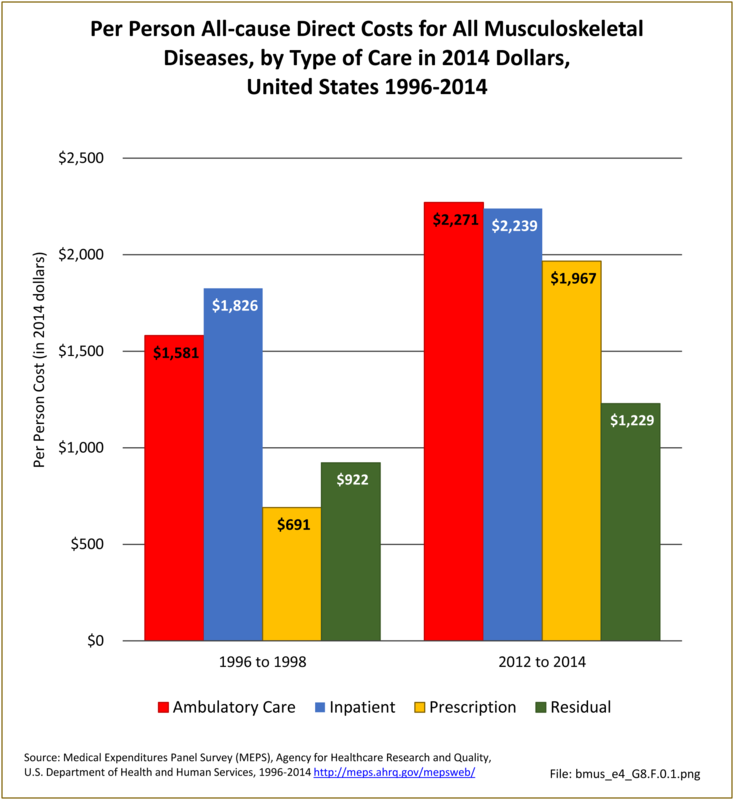 In this edition, we also make estimates of direct costs associated with connective tissue disease, the most common of which is systemic lupus erythematosus.